Today we've got a quick tip for Chrome - a new method of switching between what we'll call "sibling tabs" in Chrome for Android when you've got apps and tabs merged. First, what are sibling tabs? 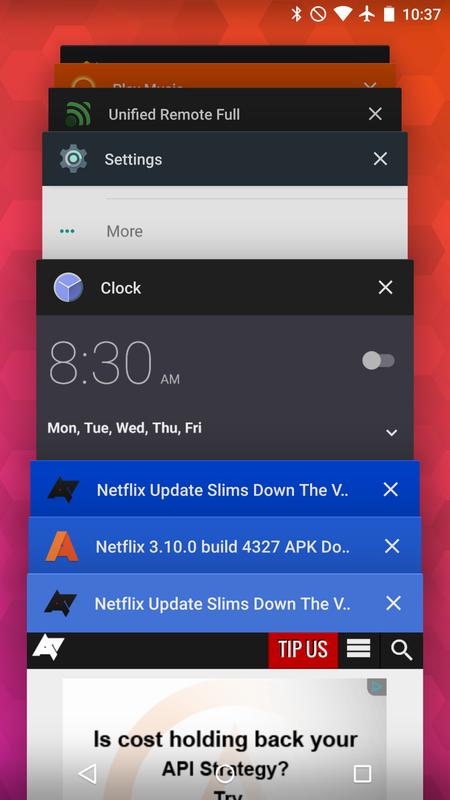 In Chrome on Android Lollipop, when users have tabs and apps merged (so Chrome tabs show up in the overview space), tabs opened using the "open in new tab" action will group together with the parent tab, making a nice little group that will stick together as you scroll vertically. Now here's the tip: when you are looking at one of these grouped tabs, a simple swipe across Android's system navigation bar will jump between those tabs. Here's a quick video, which should illustrate the trick a little better. This is a pretty neat trick, though it's also kind of problematic. First, using the nav bar as a gesture space is kind of clumsy. As you can see in the video, one of the nav buttons almost always thinks I'm trying to interact with it as I swipe across the screen. Second, and perhaps more importantly, this mechanism has extremely low discoverability, which is why we're writing about it today. That said, it could be a handy way to switch tabs for those who know it exists.